We are particularly moved to be here in Leningrad, at the meeting being hosted by the CP of the Russian Federation, precisely 100 years after the Great Socialist October Revolution. We continue to call Petrograd, Leningrad, the name that it took in honour of the leader of the world historically important revolution that changed the fortune and course of humanity, inaugurating the beginning of the end of capitalist barbarity and the dawn of a new society; the name of the founder of the young workers’ state, the first socialist democracy known to mankind, irrespective of the fact that this course was interrupted in 1991, after tragic mistakes and weaknesses that allowed the restoration of capitalism. We are firmly convinced that the earth will become red in any case, red with life and creativity and that the red flag will be raised again in Leningrad, in Moscow, all over Russia and the countries of the former Soviet Union, in Europe, in Asia, in America, in Africa, in Oceania, all over the world. The study of history, the class struggle itself confirms a general fundamental conclusion: the struggle for power is objective when the class that is in power, in the specific historical context, represents a historically obsolete socio-economic formation, while the class that can assert power is the motor force of the new, higher socio-economic formation. History has demonstrated that in class societies the class conflicts are always violent, precisely because the very concept and the essence of power and the struggle for it entail imposition, violence. The radical changes in terms of the character of power only come about through revolutions, i.e. the movement of masses, under the leadership of the emerging class in each phase and guided by its political party, its political representatives. Such were all the bourgeois revolutions and subsequently the proletarian ones, while before the bourgeois revolutions, the radical changes were also brought about by wars, with the invasion and military superiority of peoples-tribes that possessed more developed means of production. In the struggle for power, as well as during the development and prevalence of the new social relations, progress is not linear and upward, but there are several zigzags, leaps and setbacks. the emerging force, the working class, with its revolutionary movement can play the leading role in the cause of social progress, in the transition from the old mode of production and organization of society to the new communist one. And this is what happened in October in Russia. In a very short period of time, centuries of backwardness and pre-capitalist vestiges were swept away. The achievements in Soviet Russia and later in the USSR were attained in conditions of imperialist interventions, permanent threats by the imperialist centres, the undermining of production. There is no way they can convince us that the course of the populations in the endless expanse of the Tsarist empire, their general political level would be as it is today without the victory of the October Socialist Revolution, without the beginning of socialist construction. The same is true for the other countries of socialist construction in Europe, Asia and America. The achievements of socialism in the USSR, even if they later suffered a catastrophic setback, cannot be compared to the current situation of the working class in capitalism. Likewise, we cannot compare the level of capitalism of the 21st, 20th and even 19th centuries with what was provided by the newly emerging capitalist relations in the 14th century in the urban centres of Italy. The experience of socialist construction indicates the trend for the rapid development of society as a whole, the amazing increase of the level of social prosperity. However, it cannot show us what it would really be like today, when science, knowledge, labour potential and productivity have objectively reached even higher levels. In general, the bourgeois criticism of the history of the USSR conceals that it constituted the first historical steps of the immature level of communist society. This what the younger generations should be aware of, in particular the youth of our countries, so that they do not easily fall into the trap of the deliberate distortion that is promoted with a “scientific” camouflage. Of course the various historical researches who serve capitalism today know that the upsurge of the labour movement all over the world had a solid basis, namely the impact that the achievements of the Soviet Union have had for decades. However, We, the communists know that we have the duty not to conceal the weaknesses of our movement, but openly criticize them in order to get rid of them once and for all. For that reason, at our meetings there is no room for verbalisms, big words and mere applause. Our meetings should focus on the essential presentation of views that will contribute to the correct assessment of the past as well as to the clear definition of the present in order to be able to make a leap into the future. For that reason, the experience from October Revolution is inexhaustible and above all timely. This is the basis on which the communists from all over the world should rely on, enriched with the experience from the other socialist revolutions that followed within a strictly defined historical context.  To overthrow, smash the exploiters i.e. the bourgeois class which is their main economic and political representative; to beat their resistance and thwart their attempts to reinstate the yoke of capital, wage slavery.  To attract and lead under the revolutionary vanguard of the Communist party, not only the industrial proletariat, either as a whole or its vast majority, but the entire mass of the working people and the people exploited by capital and monopolies; to enlighten them, organize and educate them through the process of a tough battle and class conflict against the exploiters.  At the same time, it must eliminate and render harmless the inevitable wavering between the bourgeois class and the proletariat, between the bourgeois power and the working class power, that the middle strata, the small-proprietors in agriculture, trade, crafts and other services of various scientific fields will manifest, as well as by state employees, all of which represent numerous sections in all capitalist countries.  the success of the victory against capitalism requires a proper relationship between the party that leads the revolutionary change, the Communist Party, and the revolutionary class, the working class, as well as with the working masses and the exploited people as a whole. Only the Communist Party can lead the masses in the most decisive struggle against capitalism, imperialism, provided that its members are committed communists, steeled and educated by their participation in the class revolutionary struggle, and provided that it manages to become part of the life of the working class and consequently the exploited masses as a whole and it gains the trust of the working class and the people.  Only the guidance of this Party enables the proletariat to release the power of its revolutionary assault, to eliminate the resistance of the labour aristocracy, which is bought off by the bourgeoisie, as well as of the corrupt and compromised reformist, opportunist trade unionists and achieve the victory. Only the workers and the other popular strata who are liberated from capitalist slavery can develop at the utmost their initiatives and activities through their new institutions which emerge from the revolutionary process, as they were organized for the first time in history in the working class power in the soviets in Russia. Only in that way can they achieve the participation in government , which they are deprived of during the bourgeois power, despite the illusions fostered regarding their participation. The working class, participating in the organs of state power from the bottom up, is actually learning through its own experience how to build socialism, how to develop a new voluntary social discipline. It forms, for the first time in history, a union of free people, a union of workers in a new society, in a society without the exploitation of man by man.  The conquest of political power by the proletariat does not entail the end of class struggle against the bourgeois class. On the contrary, it renders this struggle “extremely broad, sharpened, relentless” as Lenin noted. In this framework we should pay particular attention on the following assessment which all of us have confirmed in practice: any inconsistence or generally any ideological-political weakness in revealing the revisionist, opportunist, reformist forces may significantly increase the danger of the overthrow of working class power by the bourgeois class that will utilize these forces for the counterrevolution as has happened many times in history.  In order for our course to be truly victorious all CPs must elaborate a revolutionary strategy in their countries and this attempt must embrace the international communist movement. The experience of the Bolsheviks in this direction, enriched with the experience from all socialist revolutions, with the experience of the revolutionary movement in each respective country must serve as a beacon in this process. The fact that this experience was not assimilated and did not prevail thereafter and that the character of the revolution was determined on the basis of other mistaken criteria requires our serious reflection.  Today, in conditions of a general setback, of a negative correlation of forces at an international level and in each region separately, each communist party has the duty to intensify the preparation of the working class, on a daily basis with hard ideological-political work and class oriented activity for the revolutionary upsurge to come. Because, our era continues to be an era of transition from capitalism to socialism. The era of capitalism’s overthrow was inaugurated by the October Revolution 1917 that paved the way and marked the beginning of socialist revolutions. For that reason, we consider timely the words of Lenin that the start was made and the proletarians of which nation will complete this process is not important. For that reason, we do not fall back, we do not retreat; we are deeply convinced that we have to carry through this task. The 100th anniversary of the October Revolution finds the International Communist Movement, as a whole, deeply divided, faced with enormous difficulties, in a relatively perplexed situation, despite the partial positive steps made in separate countries with the undeniable effort of many vanguard leaderships and entire party organizations in various country. The unity of the International Communist Movement in the 21st century must be based on certain essential indisputable principles. Our theory is Marxism-Leninism and proletarian internationalism. The role of the Communist Party is irreplaceable. Socialism is more timely and necessary that it has ever been in the history of humanity. The timeliness and necessity of socialism, the socialist character of the revolution do not depend on the correlation of forces at each time. The bourgeois class has lost its progressive role even before the revolution of 1917. It finds itself in the era of reaction, of monopoly capitalism, namely imperialism; capitalism in its last stage that is in decay. As the experience from October Revolution has shown, there is no room for any cooperation-alliance with the bourgeois class or any sections of it in the name of defending bourgeois democracy or avoiding any “pro-war powers”. The bourgeoisie and the bourgeois power, as a whole, undermine and suppress workers’ and people’s rights, achievements. In their “peaceful conditions” they prepare wars. Τhe consolidation of the anti-capitalist-antimonopoly struggle, of the struggle for socialism requires the alliance of the working class with the poor farmers and the self-employed craftsmen. Our answer to the question “reform or revolution” is revolution because no organ of bourgeois power can be humanized. The line of social democracy since the beginning of the previous century until today has completely failed, it has caused great damage, it led to the defeat of the revolutionary communist movement, it assimilated working masses in the capitalist exploitative system, it led militant, progressive forces in favour of social development to be disarmed. The socialist construction as a first immature phase of the communist society highlighted the scientific laws that the revolutionary vanguard must be aware of and not violate so as to eradicate consciously and methodically the seeds of counterrevolution. More specifically, the theory and practical implementation of “market socialism” is disastrous for socialist construction, whether it is used to justify the toleration of capitalist relations or the long term support of the small commodity production or the long-term distribution of the social product in the form of trade. In these three instances, in each one separately and altogether, central planning is undermined as well the socialist character of the ownership over the means of production. As a result, the class state power is undermined and the counterrevolutionary forces are being recreated, developed and strengthened. Thus, instead of the victory of communism we return to capitalism as it finally happened with the developments of 1991 being the milestone of this process. The forms and the modes of this setback are not that important. In the USSR this happened gradually through the opportunist sliding that started in 1956 and broke out violently in 1991 with the final dissolution of the USSR and the CPSU and the ascending of new capitalist forces to power that exercised state power in the form of bourgeois parliamentary democracy. Elsewhere, this may happen gradually, with the CP maintaining state power and following a clear course of capitalist restoration and consolidation of the capitalist relations of production. The capitalist relations are bound to take the upper hand, even in cases where they have not prevailed yet, no matter if this course is presented as or is honestly considered to be a temporary solution. The result will be a new wave of confusion and disillusionment among the working masses and the people. This line is the beginning of the end of our perspective. Historical experience has demonstrated that the problems that arose in the course of socialist construction were mistakenly interpreted as inherent weaknesses of central planning. The solution was sought in the expansion of market, which was a step backwards, instead of making a step forward expanding and strengthening the communist relations of production. Today, in the 21st century, capitalism in its imperialist stage prevails at international level. The socialist relations – remnants of the socialist past – that survive in some countries, exist only to remind us that they are the swansong of the first attempt of socialist construction that began in 1917 and continued in several countries during the 20th century. In the final analysis, it is not possible for two kinds of production relations to coexist for a long time with various forms in the framework of a new superior social system like socialism-communism i.e. the exploitative capitalist relations and the ones that lead to their abolition, the socialist ones. The one or the other kind shall prevail. Our worldview and the historical experience have proven that their coexistence can only serve as a vehicle for counterrevolution. In the framework of this complicated situation inter-imperialist competition is sharpening as well as the great contradictions over the division of the markets, the control of the energy resources and their transport routes, the geopolitical control and the upgrading of each country in the region and generally. New alliances and blocks are being created that lead to the creation of axes and anti-axes, increasing the danger of involvement in wars, at local and regional level, as well as the possibility of a generalized imperialist war. In any case, it is certain that the regional confrontations and wars will continue as well as the involvement of stronger regional powers and imperialist centers by means of direct military involvement or through diplomatic, political means, economic war etc. In this confrontation the international communist movement and each communist party separately cannot stand in puzzlement. It must elaborate its own line for the struggle in each country, in each continent and internationally: a line for the overthrow of the imperialist barbarity that breeds economic crises, poverty, unemployment and wars or “peace” with the gun to the people’s head. For that reason, it is essential to study historical experience, to consciously reject mistaken positions of previous decades that led the revolutionary forces to political disarmament, perplexity and ineffectiveness. Every communist party must elaborate a line for the disengagement of their countries and their people from imperialist interventions and wars, defending the sovereign rights of each country; a line which will lead to the defeat of the bourgeois class which is attacking, and simultaneously a line of rupture with the domestic bourgeois class, aiming at its overthrow that will bring about real peace and prosperity for people and not the return to the previous situation that will prepare new crises, military interventions and wars in the name of the national interest . At the same time, it is necessary to elaborate and promote suitable slogans that will facilitate and escalate the people’s struggle and prepare these forces so that in conditions of revolutionary situation they will direct the working and popular masses that are in revolt to a successful overthrow of the capitalist power and to take power into their hands. This dynamic will not emerge like an oasis, merely in one country. In this discussion about what is to be done, which is taking place today in the squares, at our demonstrations, at strikes, in cities and villages, in factories and work places in general, in universities and schools , in all over the world, the bourgeois class and the opportunists pose the dilemma “how can we do it ourselves? It is not realistic!”. Only the communist movement, the communists that believe in the visions and the struggle of the October Revolution, in Marxism-Leninism can put them in their place, refute defeatism and fatalism. Our weapon is proletarian internationalism, our joint struggle, our class and comradely solidarity which is necessary against national isolationism and imperialist cosmopolitanism. The principle of proletarian internationalism is also a significant message for the 100th anniversary of the Great October Revolution. Without the practical expression of the people’s internationalism towards the Revolution and the young Soviet Union the victory might not have been possible. This is a valuable conclusion and lesson. 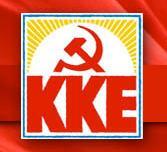 The KKE, as other Communist Parties, was born and developed under the impact of the Socialist October Revolution. In 2018 it will celebrate 100 years of heroic life and activity. It focuses its attention on its internationalist duties and as is known, it has applied to host the next IMCWP in Athens, the city where our International Meetings started from.